June is still a bit quiet but I have had word of a few more performances around the city. On the 13th Lindsay Promane, Daevyd Pepper and pianist Natasha Fransblow; all seen recently at either Metro Youth Opera or various UoT events, have a recital at Islington United Church. Featured composers include Ravel, Tosti and Saint-Saens. It’s at 7.30pm and it’s Pay What You Can. On the 17th and 18th at 8pm Array Music are presenting How it Storms. 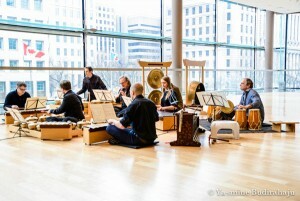 It’s an opera for gamelan ensemble by Allen Cole. The singers will be Salzburg and Zürich bound Claire de Sévigné, Danielle MacMillan (where’s she been this year? ), Chris Mayell and Keith O’Brien. This one is at The Array Space, 155 Walnut Ave and admission is $15.00. Then on the 21st there’s a concert performance of Le Nozze di Figaro at St Simon-The-Apostle Anglican Church. It’s at 7pm and it’s Pay What You Can. Finally, you can catch the broadcast of the Royal Opera’s recent production of Weill’s Mahagonny at the Bloor Hot Docs on the 28th at noon. 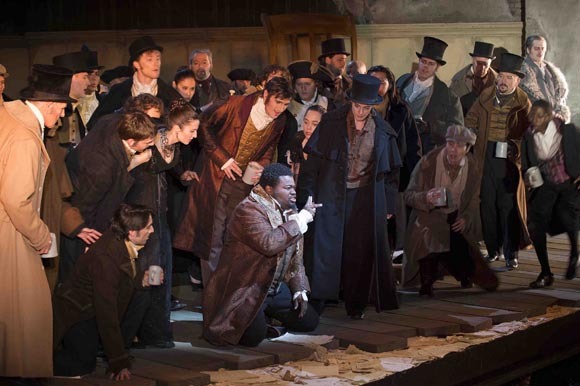 Last night saw the third performance in the current run of Offenbach’s Les Contes d’Hoffmann at the Canadian Opera Company. It’s a peculiar work. It was Offenbach’s first and only foray into grand opera and he didn’t live to complete it. This leaves all sorts of performance issues regarding orchestration, sequence of the acts and spoken dialogue vs accompanied recitatives among others. The COC version uses the conventional act order; Olympia, Antonia, Giulietta, and recitatives with orchestral accompaniment which makes for a long night but is probably the best fit with director Lee Blakeley’s take on the piece, previously seen at Vlaamse Opera in 2000.